New funding available through two bursaries supported by the Manitoba Scholarship and Bursaries Initiative, will help students focus on their studies as they work toward graduation. BRANDON – Brandon University (BU) students will benefit from $330,000 in additional support this year through two valuable new bursaries approved on Tuesday by the BU Senate. The bursaries were created to realize the benefits of changes to the Manitoba Scholarship and Bursaries Initiative (MSBI). Through the MSBI the Government of Manitoba contributes provincial support to supplement donations that fund scholarships and bursaries at post-secondary institutions in the province. The MSBI Graduate Scholarship-Bursaries, worth up to $10,000 each, will be awarded to outstanding graduate students at BU who have financial need. Up to five students in each of BU’s four faculties and the School of Music will receive support, for a total of up to 25 awards. The MSBI General Bursaries will be presented, on the basis of financial need, to students in any BU program. The MSBI General Bursaries are worth up to $5,000 each and can be pro-rated for those studying part time. Because the pool of money has become available later than normal due to the recent changes to the MSBI program, the process for determining the award recipients will be slightly different for the current academic year. The University will invite recommendations from each graduate program for potential recipients, while the General Bursaries will be presented based on applications already received for the 2017–18 year. “There were many students who had applied for bursary money and who declared financial need, but we were unable to support them all with the money that we had in our regular funds,” said University Registrar Andrea McDaniel. The bursaries will be part of the normal award cycle for future years, with students receiving their support earlier in the year. 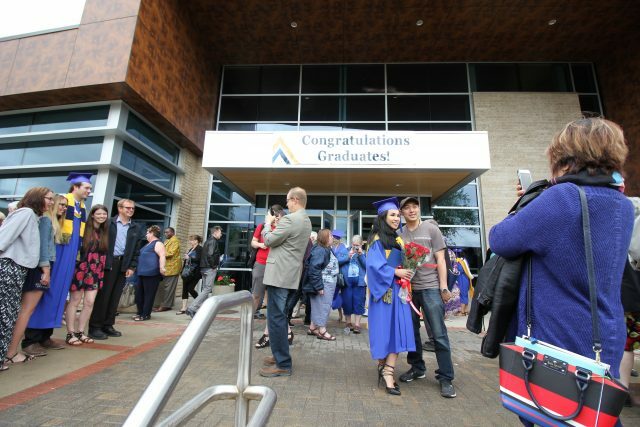 The Graduate Scholarship-Bursaries will still be based on recommendations, while students will be considered for the General Bursary as part of their normal application for financial awards at BrandonU.ca/Scholarships/Apply. Applications for the 2018-19 year are already open, with a deadline of June 1, 2018 to apply.